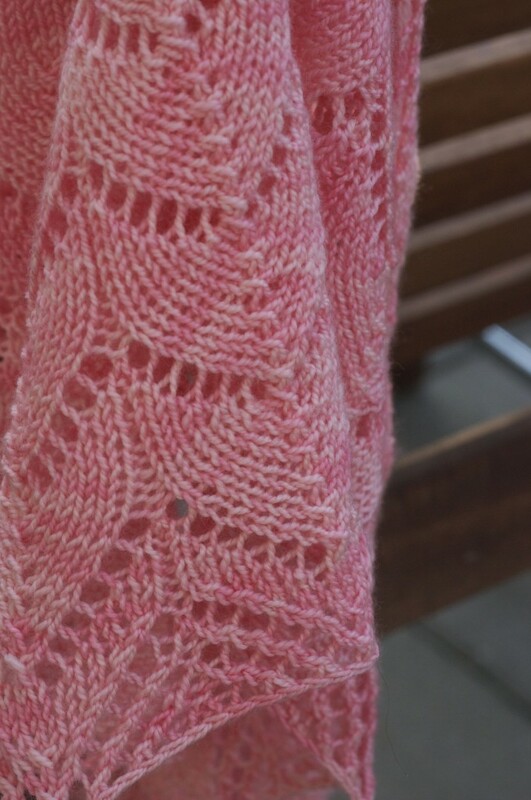 Last weekend was Mother’s day (I hope this isn’t news to anyone) and I wanted to do a little knitting for my Mother in Law. It wasn’t just Mother’s day for her either, it was also her birthday! I figured this was a prime oportunity to display my fine knitting skills. MIL has blonde hair and fair skin and LOVES pink so I thought I would give the new Shibui Sock a try. 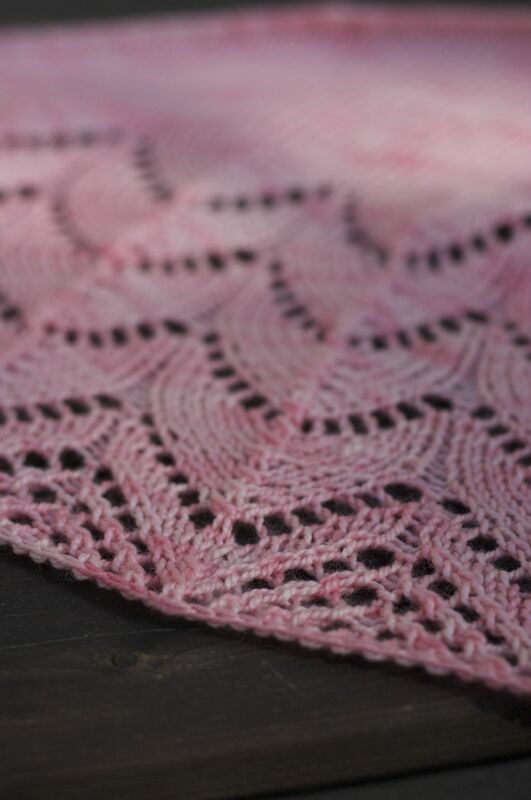 It comes in some great colours and even though I immediately gravitated towards the deep tealy blues, I knew the soft pink was perfect for MIL. I didn’t want to make socks though, just not right for the occasion. 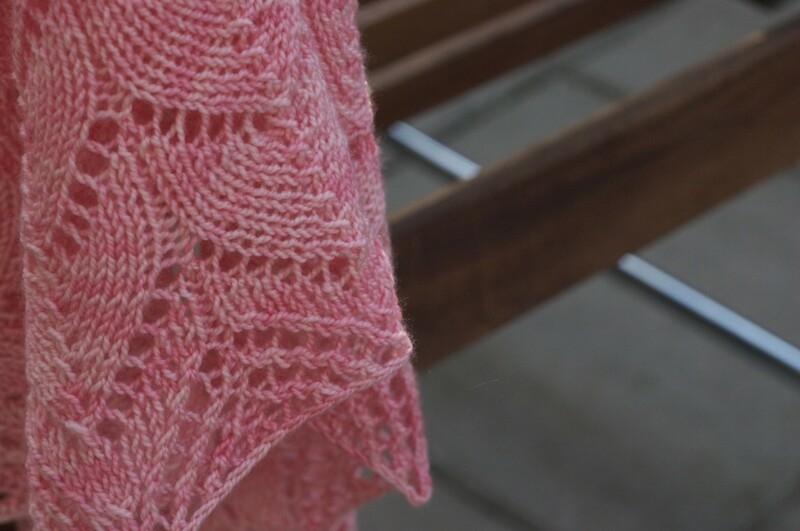 I decided to whip together a small shawl/triangular scarf. I picked up 2 skeins and some addi lace needles (sharp tip, not too slippery, I love them) and I was ready to go, except for the pattern. I recently finished Multnomah so I didn’t want to do that one again but I didn’t feel there was time for anything too taxing. There definitely had to be some garter or stockinette stitch finished with a little lace. 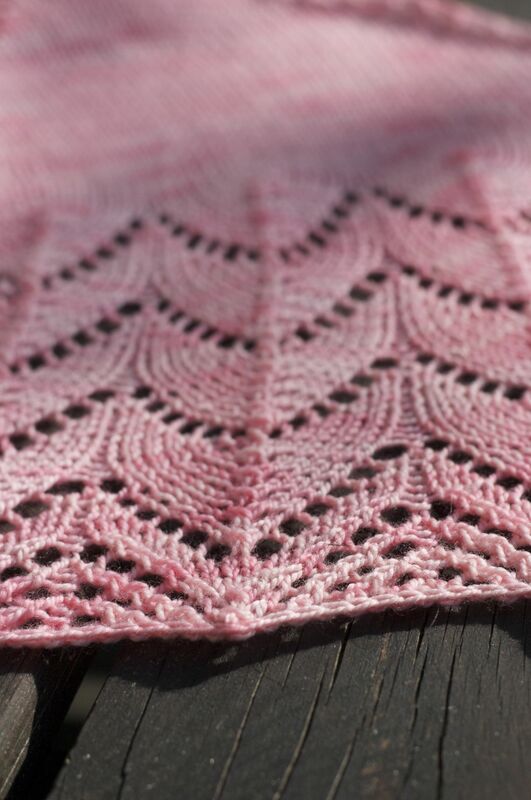 Here is what I discovered: there are SO MANY patterns on Ravelry (both pay and free) that fit this description. While this may seems like a good thing, it was a lot of choice. The one I finally chose was Traveling Woman. There is some Stockinette stitch to kick it off (good conversational knitting) and then it’s finished with a nice horeshoe lace trim. 3.5mm needles (I used 24″ Addi Lace) I thing my needles may have been a bit small though, I got an extra repeat of the horeshoe pattern and the fabric over all was a bit tight. The nice thing about lace though is that you can kind of use any needle you want, things will just come out a little bigger, a little smaller, a little more open. It all really comes down to preference. To get one just like mine you can use 3.5mm but I think a 3.75 or 4mm would be quite nice as well. The pattern, which you can find for free here. So, if your looking for something quick and not too tricky give it a whirl! Enjoy!